It's hard to believe that this time last year Lee and Rickie were still planning and preparing for the Tour Divide, writing and re-writing their kit lists, obsessing over footwear choice and route profiles, and wondering if their relationship would survive the strain as each of them settled into their own unique brand of mid-expedition squalor. Now, less than 12 months later, you can watch the film of their grand adventure, and witness this squalor for yourself (find out how Lee dries her pants, and Rickie feeds her caffeine addiction in the absence of good espresso). Thanks to the talent of editors Mike Webster and Thomas Hogben, Divided is now live, and taking the world by storm. 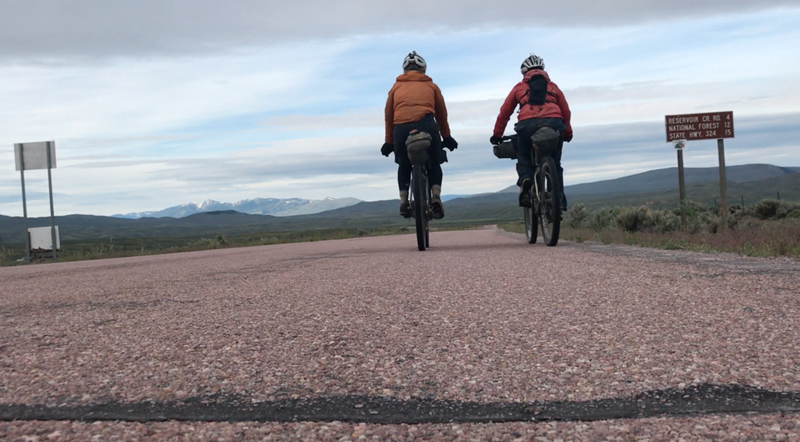 We launched the film back in February, with the generous support of our friends at Leigh Day Cycling, and since then we've been sending Lee and Rickie off on whirlwind tours of the UK (and elsewhere) to screen it in as many places as possible. There's bound to be a showing near you, so check out the listings below, and book your ticket today.